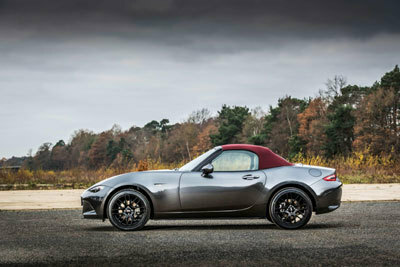 Mazda will bring a burst of colour to the MX-5 range next spring with the launch of the new Z-Sport special edition. On sale from the 1st March, this exclusive model will stand-out thanks to its deep cherry red fabric hood, 17-inch black BBS wheels, and free-of-charge Machine Grey Metallic paint. Inside, the stand-out feel continues with Sand Leather seats, plus Z-Sport floor mats and scuff plates. While to further highlight its uniqueness, each car comes with an individually numbered Z-Sport plaque on the dash. Exclusive to the UK and limited to just 300 cars, thanks to being based on the 2.0-litre 160ps Sport Nav, the £25,595 Z-Sport features a limited slip differential, Bilstein dampers and a strut brace to ensure it has the dynamic excellence to match its sporty exterior looks. 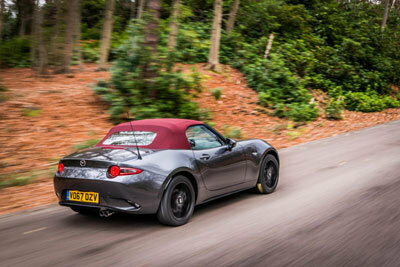 With the distinctive look you’d expect of an MX-5 special model, the Z-Sport continues the trend of offering sports car customers a striking and exclusive car at an affordable price. 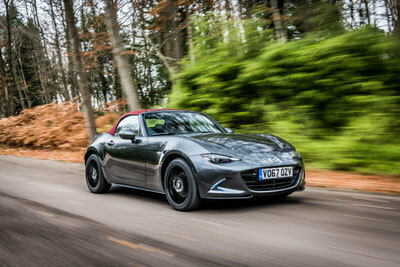 The second MX-5 to wear the Z-Sport badge, the latest car revisits a name last used on the third-generation MX-5 in 2007. A 2.0-litre model with 17-inch BBS wheels, Stone Leather seats and Radiant Ebony Mica paint, the last Z-Sport’s cabin featured brushed aluminium dash inserts, alloy pedals and coordinated stitching on the steering wheel, gear knob and handbrake. 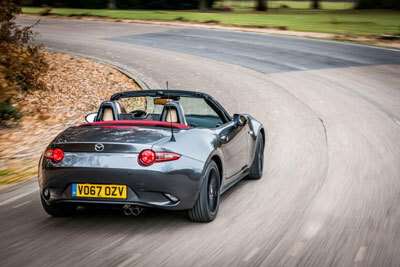 With just 400 examples sold, the 2007 Z-Sport shared the exclusivity of next year’s new Z-Sport MX-5.